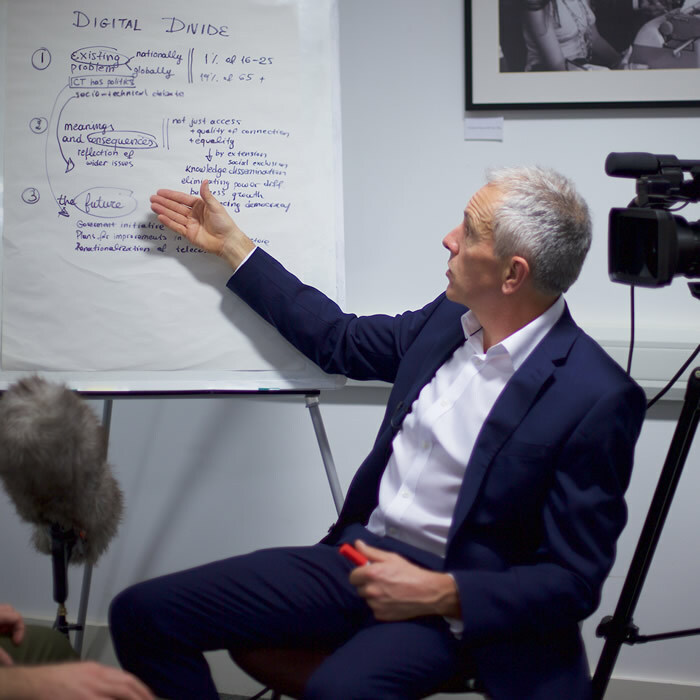 Our media interview training is based on a unique system designed and developed by ACM over the past 22 years and rated as highly effective by more than 12,000 individuals and 2,000 organisations. 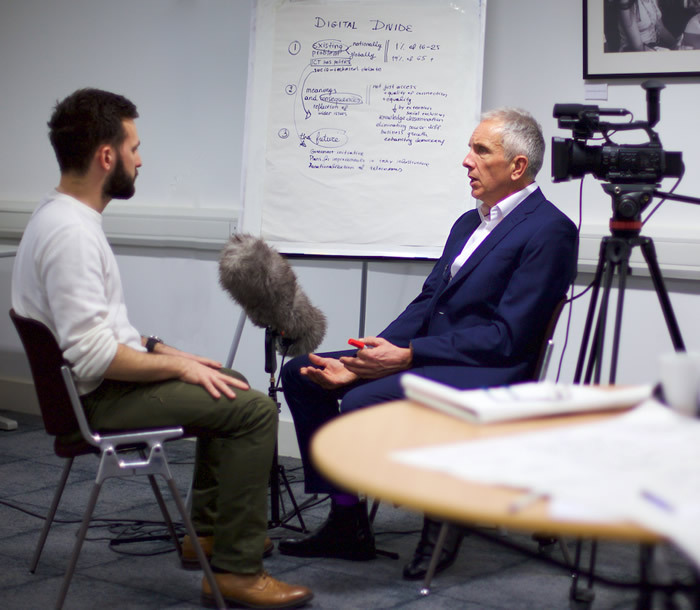 We call it the 3P® approach - a hugely practical yet remarkably straightforward way of equipping interviewees with the skills they need to stay in control of the media – even under hostile questioning. The three initials of the title stand for the planning that should be done before an interview, the process of managing an interview to avoid being dictated to by the interviewer and the promotion of key messages during an interview. 黎Read our trainer's latest posts on media relations. Anyone who comes into contact with the media in both good and bad news situations. A short, introductory discussion in which the programme is outlined, participants who perhaps don’t know one another are introduced, learning outcomes are shared and the methodology agreed. We also spend a little time exploring issues such as the consequences of being unavailable or making no comment and the value of shared messages e.g. all singing from the same hymn sheet in public relations terms. Throughout the day, at appropriate moments, “bite sized” examples of good and bad practice are related to participants – for example the consequences of speaking “off the record” to journalists who frankly would sell their grandmothers for the sake of a good story. Where appropriate these form the basis for further group work and discussion. The first session explores the process of being interviewed – whether on radio, television in print or for the web - so that interviewees understand how they can switch from being led by the questions (something that’s beyond their control) to response-led (something very much within their control). It’s an experiential session where participants acquire the practical and intellectual skills needed to switch from reactive to proactive through a series of realistic one-to-one interviews on subjects drawn from their own general or specific field of experience. These interviews (and those which follow) are recorded either as TV or radio interviews for later evaluation and feedback (both on the day and post-course). Knowledge is power – how what you know already puts you in a powerful position. How focussing on key messages helps measure the value of the question-side of the interview equation. How categorising the questions asked as helpful, unhelpful and neutral will suggest the correct response. Keeping the audience on side – how to deal with questions you can’t or don’t want to answer without appearing unhelpful or evasive. Moving on – how to steer an interview in your direction and say what you want when the questions don’t fit. “But” and “and” – how two little words are the most powerful weapons in the interviewees’ armoury. Anger management – why coolness under fire is important and how to maintain it even under hostile or adversarial interrogation. This session builds on the first and looks at how planning in advance of the process of being interviewed can help make the whole experience much more productive, less nerve-wracking and reduce the potential for unhelpful coverage. Participants are shown and get to try for themselves a number of simple but effective planning tools and techniques. As before, it’s an experiential session where participants acquire and practice the skills needed to plan for and conduct a series of realistic one-to-one interviews. Audience research – how knowing your audience is critical to success. External versus internal - how the internal audience must be considered in external communications. Journalist and journalism - how knowing your interviewer and their organisation is crucial. Contact time – why knowing how long you’ve got with the audience (the length of the clip or excerpt) is more important than how long you’re actually interviewed for. Contextualisation – why context is crucial and how to provide it if the journalist doesn’t. Angle – why it’s vital to know from what angle the journalist is approaching a story, who else they are talking to and what the pitfalls might be as a result. Style – the different interview styles such as adversarial and conversational and what they mean for you. Questions – how a simple formula can help you know in advance ALL the questions you’re ever likely to be asked. Two’s company, three’s a crowd – why being interviewed with others could be a recipe for disaster and how to manage the one-plus-two (or more) discussion or argument-type scenario. This session, as before, builds on the knowledge and practice of those preceding it. It explores the techniques interviewees need to deploy to make their key messages stand out so that they are remembered by a live audience or passed on via the editing process to readers, viewers, listeners and Internet users in pre-recorded interviews. The techniques are analogous to highlighting the important bits of a written document by CAPITALISATION or by bolding or underlining. Again the newly acquired skills are put to the test in a series of interviews that build on the knowledge learned in the preceding sessions. Repetition, repetition, repetition – how saying something lots of times can help it stick. Boring, boring, boring – but not if you say it exactly the same way every time or overdo it. Tagging – how you can attach verbal labels to your key messages so that they stand out. Hooks – catching the audience using facts and figures that are truly shocking, plain interesting or downright quirky. Generation Game – why conjuring up an image of Bruce Forsyth’s Seventies game show maybe no bad thing. Conveyor belts, cuddly toys and catchphrases – how Brucie can help you (really!) unlock the power of the human memory, unleash the audience’s love of a good story and uncover the raw strength of language. Soundbites – how providing vivid, quotable quotes which contain all your key messages but take just 30” to deliver can help reduce the need for editing and, therefore, potential distortion. Negotiation – how you can bargain with a journalist for better coverage from a position of moral strength. Vocal chords – how the human voice can be used as a musical instrument to drive home a point. Having spent the majority of the day on the crucial part – message delivery - we close with a brief discussion on the other two components of the media experience – the medium and the messenger. Dress and demeanour (for TV only). Voice and tone (for radio and TV). Camera, lights, action – the technology employed by media organisations and how it can impact on your message. Additional learning material is available online and all participants can view and download their interviews after the event. A presentation DVD with personalised feedback is available for a small additional cost. Your facilitator will be the former BBC broadcaster, Richard Uridge. He's been leading our media and communication workshops for the past 21 years and has been a journalist for 35. Which means he's highly experienced (as well as ancient) both as a trainer and as a broadcaster - a combination of huge value to his trainees.